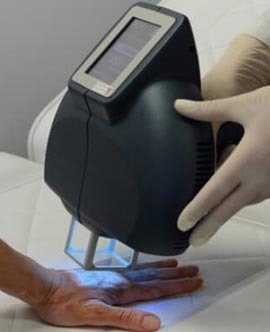 The Excimer Laser offers a revolutionary new treatment for patients suffering from vitiligo, white scars, lightening of the skin from previous laser treatments, trauma, or other causes. This laser uses a carefully focused beam of light delivered through a sophisticated fiber optic device. The Excimer system allows the practitioner to use high doses of UVB light necessary to only treat the lighter skin, while minimizing the risk of exposure to the healthy, pigmented skin. Remissions are expected to last months to even years. 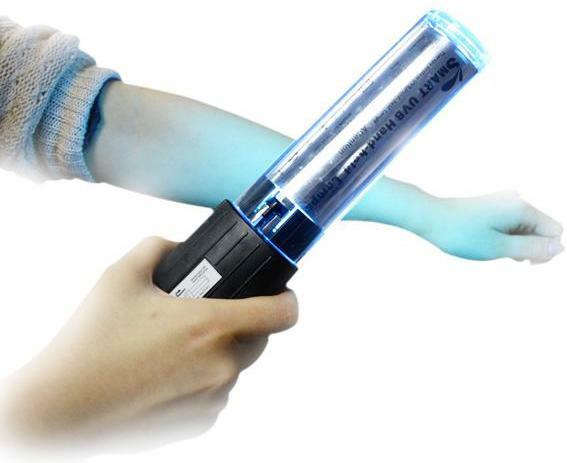 The excimer laser system is light-years ahead of other vitiligo treatments. Using a carefully focused beam of laser light delivered through a sophisticated fiber-optic delivery system, the Excimer system is designed to repigment unsightly lighter skin tones. 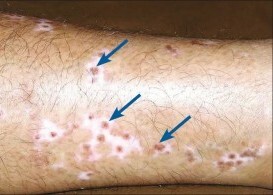 Narrowband UVB is now the most common form of phototherapy used to treat skin diseases (2008). Narrow-band refers to a specific wavelength of ultraviolet (UV) radiation, 311 to 312 nm. UVB phototherapy was formerly provided as a broadband source (290 to 320 nm). This range of UV radiation has proved to be the most beneficial component of natural sunlight for psoriasis. Patients attend two to five times weekly. The patient is placed in a specially designed cabinet containing fluorescent light tubes. The patient stands in the centre of the cabinet, undressed except for underwear, and wears protective goggles. Usually the whole body is exposed to the UVB for a short time (seconds to minutes). Grafting procedures in vitiligo have become quite popular over the last one or two decades especially in India. Starting with the simplest punch grafting we have now a multitude of different grafting techniques available in vitiligo. All of these grafting procedures are associated with certain complications. In addition there are certain factors and surgical pearls that can go a long way in improving the cosmetic results achieved with any of these grafting techniques. This paper will try to address these specific factors and complications associated with these grafting techniques & means to avoid them. Melanocyte Transplantation for Vitiligo is the latest and the most advanced treatment to treat Vitiligo. 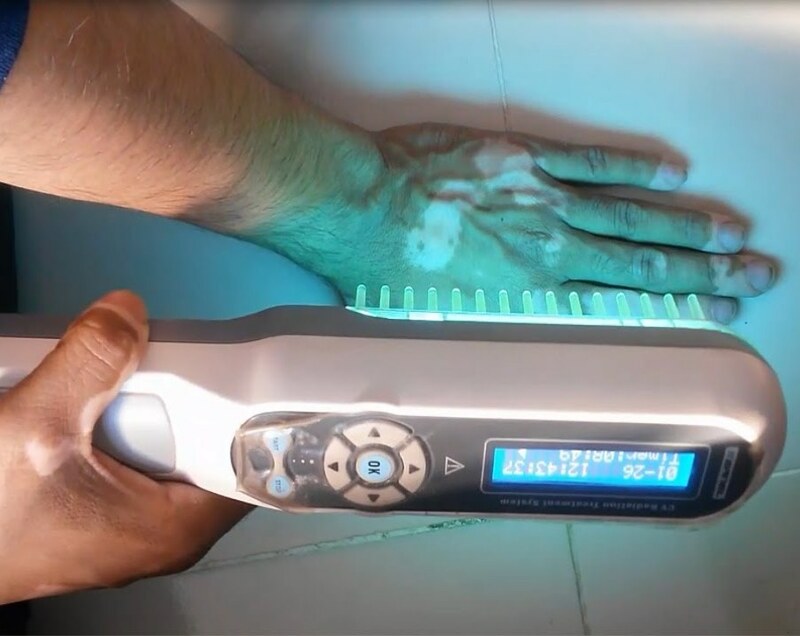 Dr. Neeraj Pandey has treated 100s of patients suffering from Vitiligo/White Patches with the procedure at Care Well Medical Center in Lucknow. Offer Best Cost of Melanocyte Transplantation. 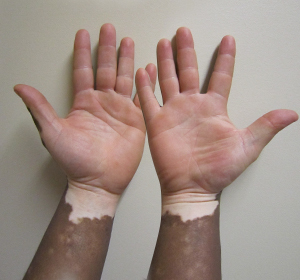 Melanocyte transplantation is an innovative new treatment to stabiles vitiligo/leukoderma and loss of pigmentation. Without Melanocytes we would not be able to produce skin cells i.e. melanin and with this innovative treatment, it is now possible to transfer melanocytes from a healthy donor area of skin and surgically implant them as cellular suspension onto the de-pigmented patches of skin.